Earlier this year, RawSports uncovered an early tape of a 17-year-old Kobe Bryant absolutely dominating a high school basketball game in 1995. In the game, a PIAA Class AAAA District Quarterfinal, Kobe dropped 29 points in the second half and his team won 75-70. 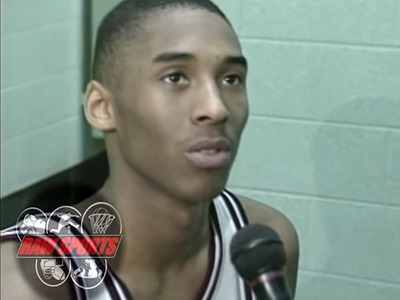 Now RawSports has released another “lost tape,” this one a full game from Kobe’s senior season. The game is pretty even in the beginning. Bryant is quiet, acting more as a facilitator, but around the 19-minute mark he starts displaying some classic Kobe moves. Bryant and Lower Merion won and went on to win the state championship. The next year, Bryant skipped college and entered the NBA Draft. He was drafted 13th overall. And here’s some footage from the earlier video from his junior year.